Notably, the on board experience continues to exude that comfortable familiarity guests have come to cherish. We have retained everything guests appreciate about our ships and continue to aim even higher. We look forward to welcoming you aboard. 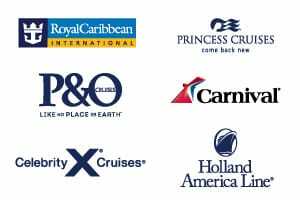 View all Riviera cruises>, view a selection of Oceania cruise deals, or view more options for Oceania cruises. Stay connected with family and friends or monitor business developments in our 24-hour Internet center, Oceania@Sea. For personalized service, Oceania@Sea is fully-staffed on both sea days (8 a.m. – 7 p.m.) and port days (8 a.m. – 11 a.m. and 3 p.m. – 7 p.m.). 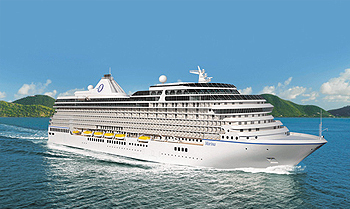 Oceania Cruises also offers wireless Internet access throughout the ship, allowing you to connect through your laptop or mobile device. Guests in suites are provided with a laptop. And as an added convenience, guests in all Owner’s and Vista Suites will have the use of an iPad throughout the voyage. Beginning in Winter of 2015, guests in Concierge Verandas and Penthouse Suites will enjoy a FREE Internet Package, and guests in Oceania, Vista and Owner’s Suites will enjoy FREE Unlimited Internet. For the sparse Internet user, this package is available on a per minute rate. 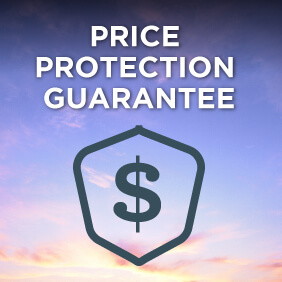 This package offers 200 internet minutes (or equivalent data amount). Consider this package if you require heavy Internet use. La Reserve by Wine Spectator offers not only wine seminars and vintage tastings but also gourmet dinners pairing fine wines with delectable courses such as Stuffed Brioche with Duck Foie Gras and Truffle Jelly, Grilled Turban of Wild Salmon and Turbot with Seaweed Vegetable Casserole, and 72-Hour Slow Braised Short Rib with Gnocchi au Jus. Even the most devout epicureans will enhance their appreciation of fine dining at its best with these perfect pairings. REEL & VIDEO SLOTS For every $5 coin-in, receive 1 point. VIDEO POKER For every $10 coin-in, receive 1 point. TABLE GAMES Points are based on average bet, session play or hands played and game type. Exquisitely decorated with heirloom antiques, pickled wood furnishings and art from Jacques Pepin’s personal collection, Jacques was modeled after a Parisian bistro. Comfortable and eclectic, the ambiance is pure French, as is the cosmopolitan yet wonderfully embraceable cuisine. Luscious aromas waft from the gleaming show rotisserie, where chicken, duck, pork, beef and veal roasts slowly turn. Each dish is a classic, ingeniously reinterpreted by Master Chef Pepin. This is Coq au Vin beyond the imagination. Rotisserie-roasted chicken falls off the bone, bursting with flavor. His Steak Frites pairs the succulence of prime beef with the crisp sweetness of pommes de terre. Jacques is absolutely magnifique! Red Ginger’s chefs have created contemporary interpretations of Asian classics. The interior simply glows with ebony woods, a soothing waterfall wall and striking, modern Asian artworks. To complement the stunning decor, Red Ginger’s chefs have created contemporary interpretations of Asian classics. Begin with a Salad of Spicy Roast Duck and Watermelon with Cashews, Mint and Thai Basil. Savor a Malaysian Beef Penaeng with Coconut Rice and Paratha Roti. Or try Thai Vegetable Curry with Sweet Potatoes, Aubergine, Mushrooms and Basil in Green Curry Sauce. In Red Ginger, the gustatory pleasures are as striking as the visual ones. Host a private party for up to 10 privileged guests in our most exclusive onboard dining venue, Privee. The exquisite setting is adorned with Baroque millwork and a custom-built table designed by the famed Dakota Jackson, illuminated by a golden Venini chandelier. The cuisine is equally superb, as each guest may select any number of courses from Polo Grill, Toscana or a combination of both. This musical voyage around the world will let you feel the percussive beats of Irish tap dancing to the rhythmic cadences of the New York City streets. You will be moved by the soulful drums of Africa and the dramatic Kodo rhythms of Asia. Experience this international journey as we bring to you….World Beat. From the Golden Age of cinema to the glitz glamour of current pop culture, That’s Entertainment is inspired by the talent and excitement of showbiz icons. From Sinatra and Monroe to Elvis and Madonna, join the Oceania Cruises Riviera Production Cast as they bring to life the hits of yesterday and today in…..That’s Entertainment. The Look of Love – The Music of Burt Bacharach tells the story about a group of friends who witnesses a marriage proposal and decides to take an impromptu trip to Las Vegas. Though the bachelor and bachelorette parties go their separate ways, they end up together at the San Jose Bar. The Look of Love explores the push and pull of love and relationships. You can’t help but fall in love again as if it’s the first time. In this elegant tribute to the greatest moments of the Hollywood Movie Musical, see your favorite cinematic classics come to life from the romantic glamour of the 1940’s to the high-kicking can-can of the Moulin Rouge! So curtain up…light the lights….as we proudly present….Lights, Camera, Music! For those enthusiasts seeking enlightenment beyond that found in a library or a lecture, Riviera and Marina offer the first custom-designed and truly hands-on cooking school at sea. At The Culinary Center, you will learn how to prepare a variety of exquisite dishes at your own fully equipped workstation in a state-of-the-art teaching kitchen. Master Chefs from around the world offer guidance and inspiration to fine-tune your techniques, but you will actually prepare the dishes yourself. It’s the ultimate way to learn and truly absorb every step of each recipe, especially since at select ports you may accompany the instructor chefs while shopping for fresh ingredients ashore at local markets on our exclusive Culinary Discovery Tours.